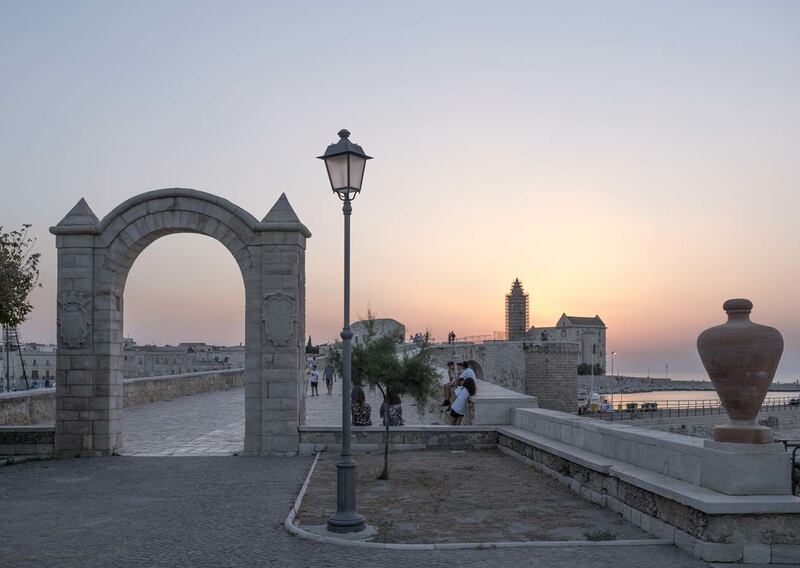 Welcome to 4-star Hotel San Paolo al Convento, an ancient monastery of Barnabite Fathers renovated and transformed into a hotel rising next to the picturesque harbor of Trani. 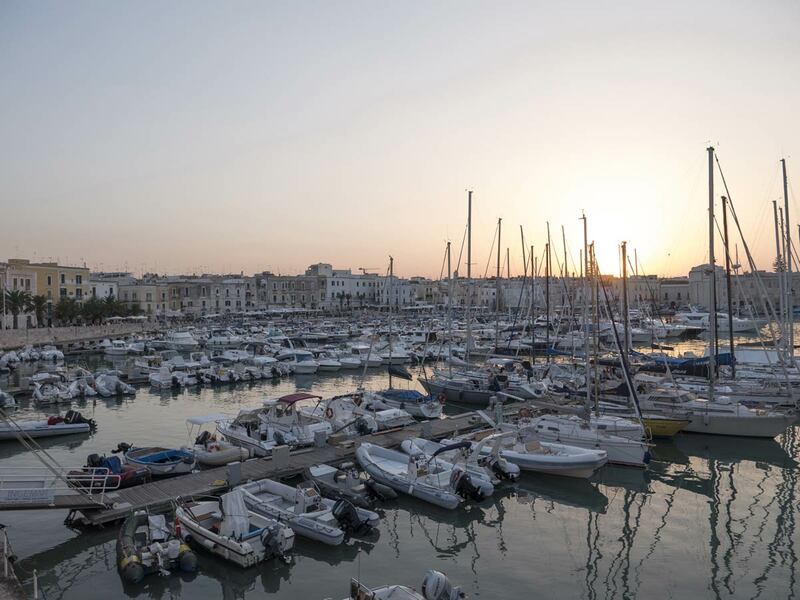 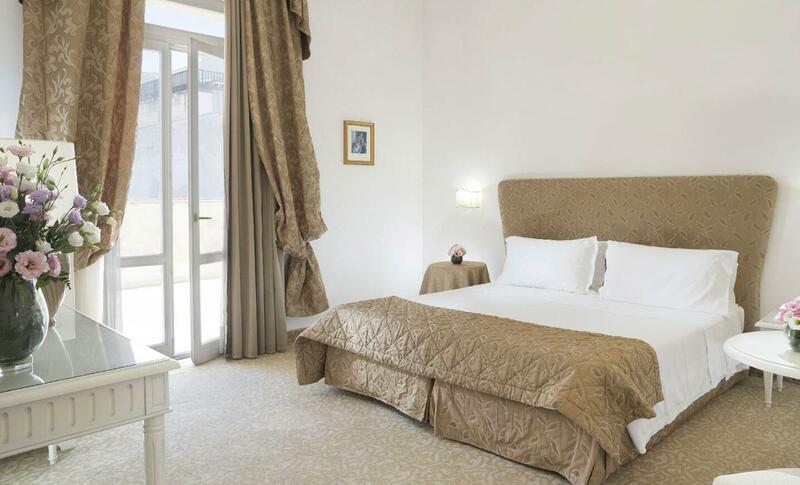 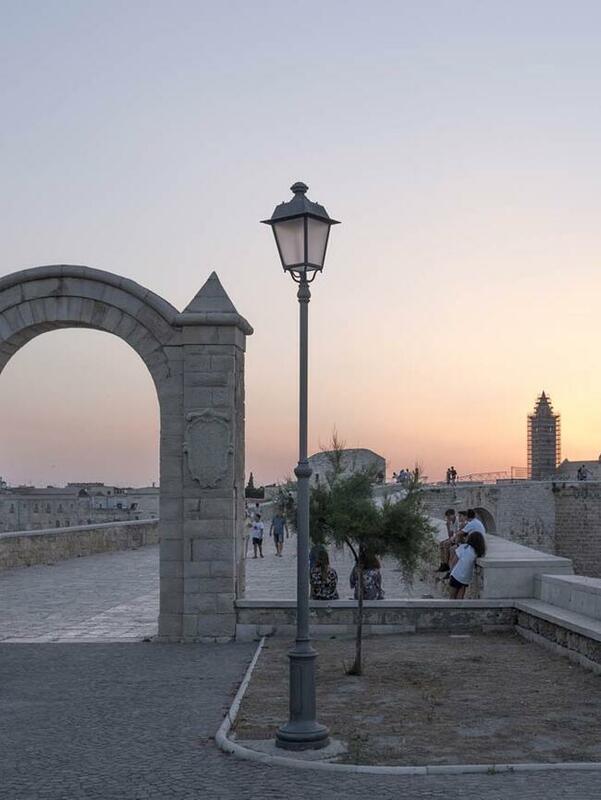 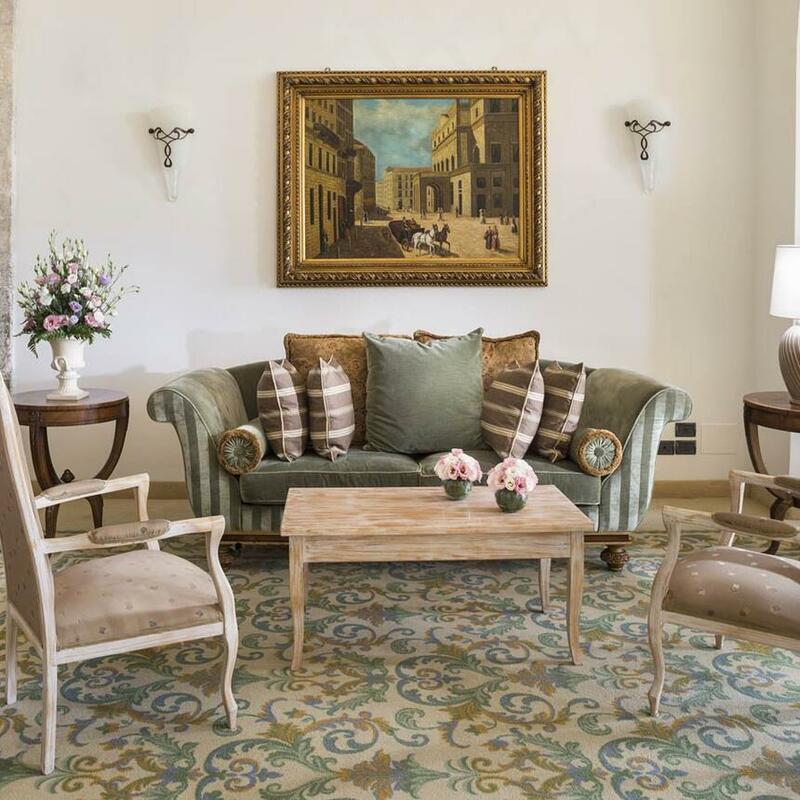 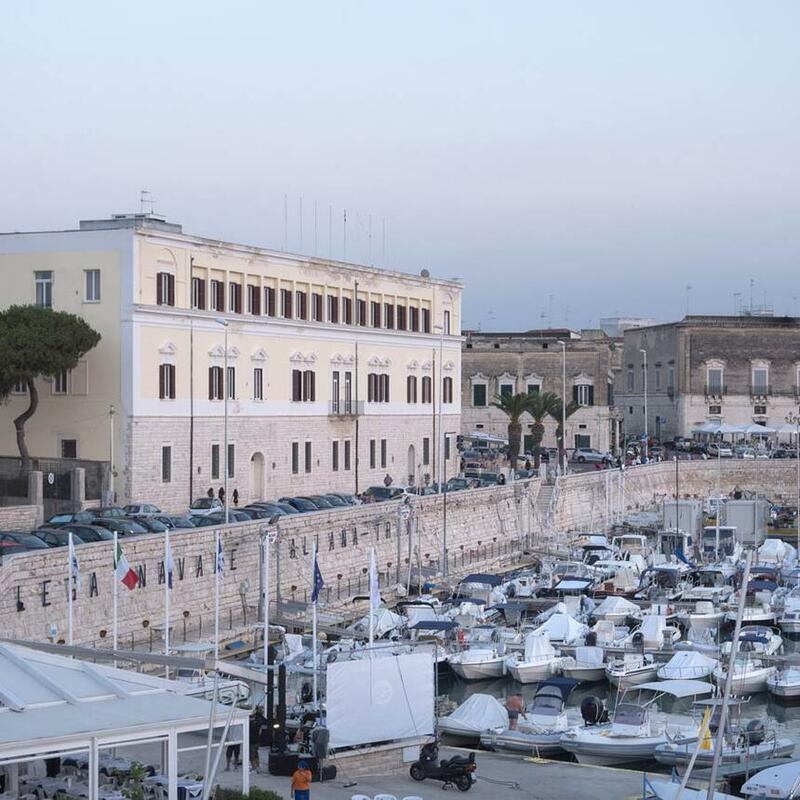 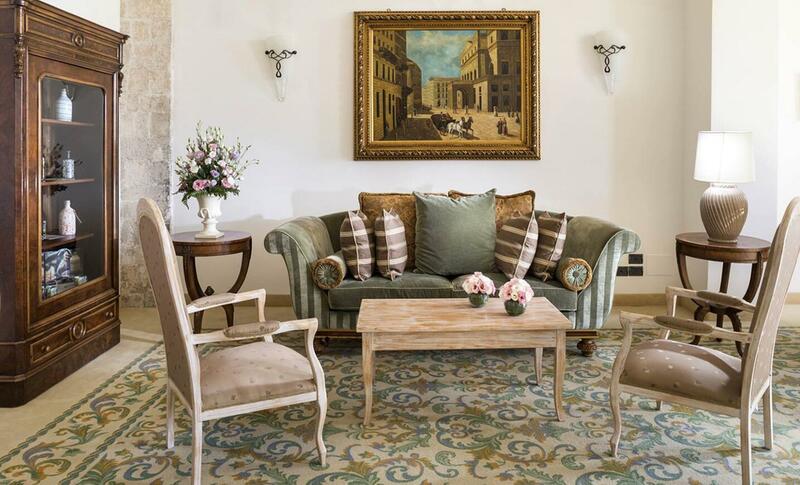 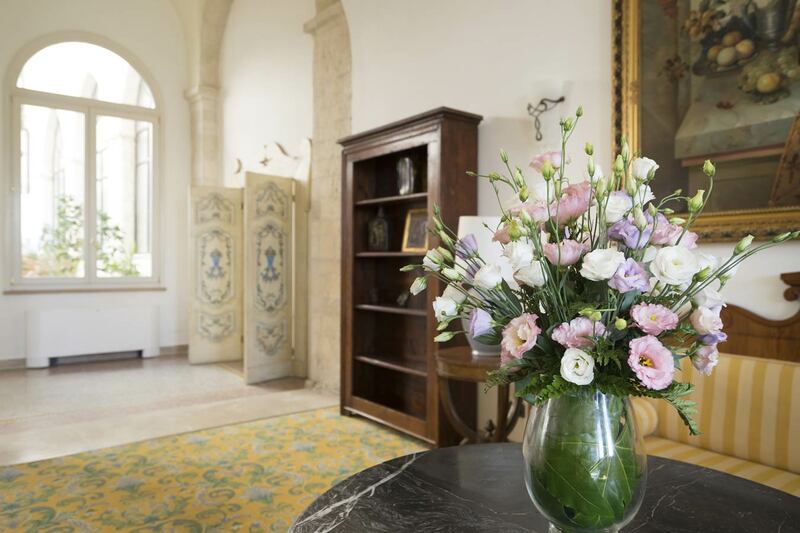 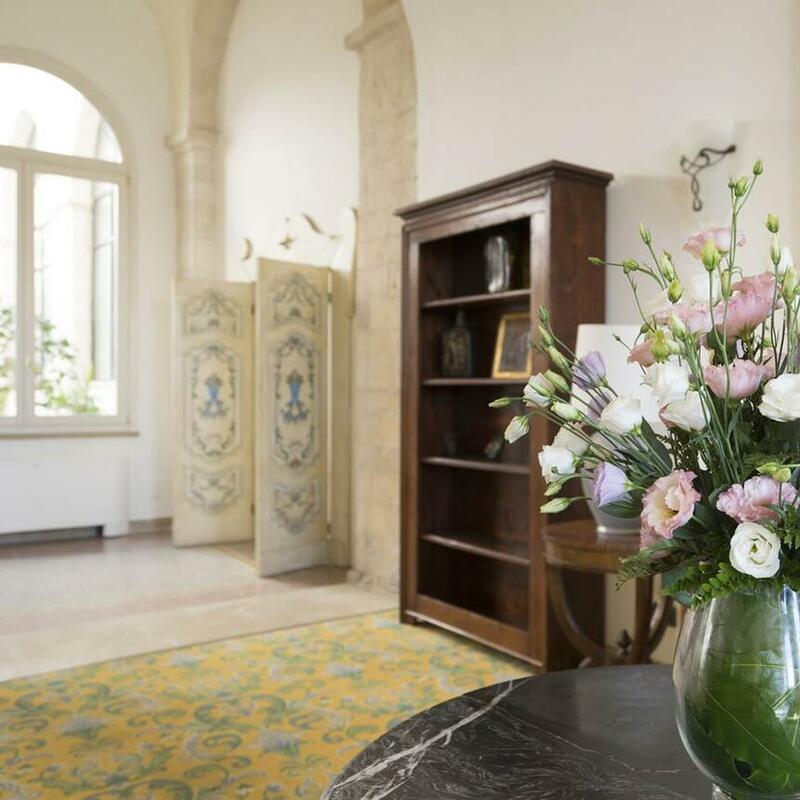 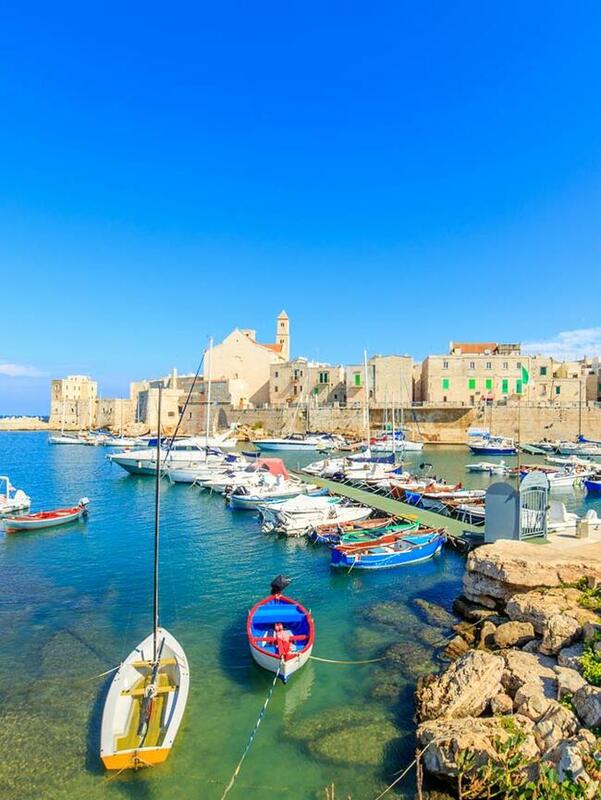 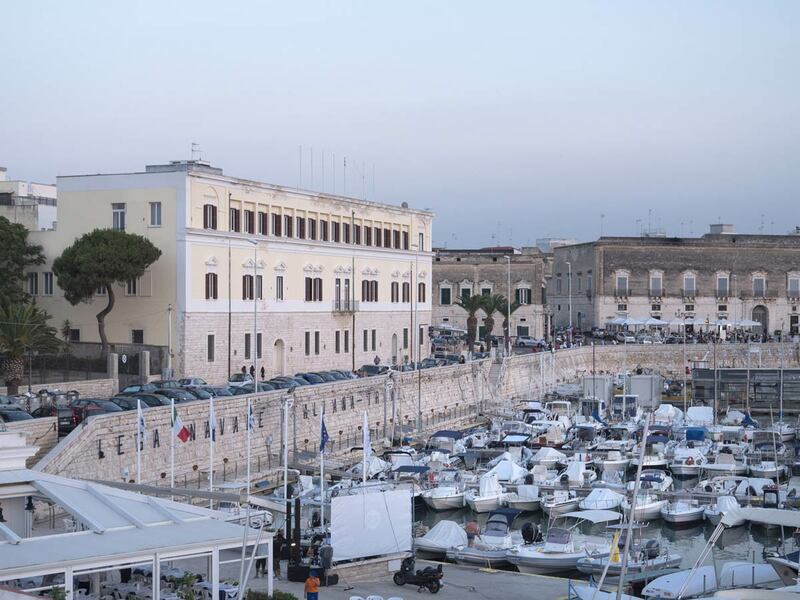 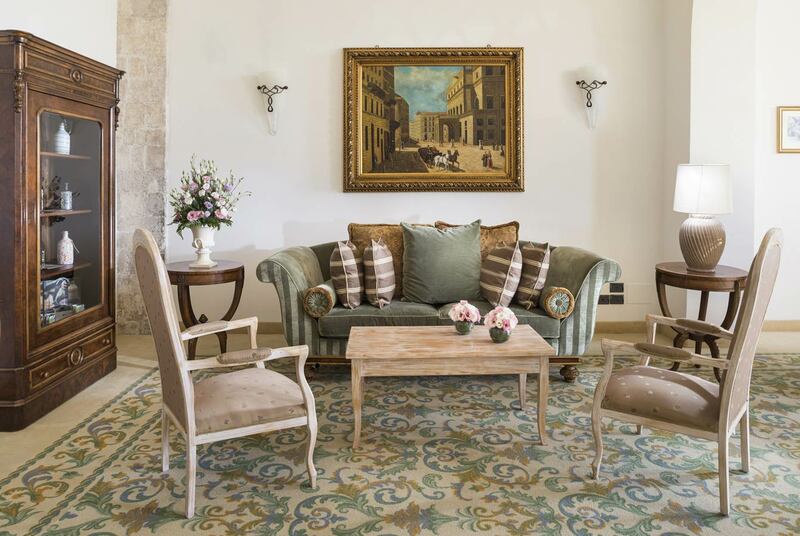 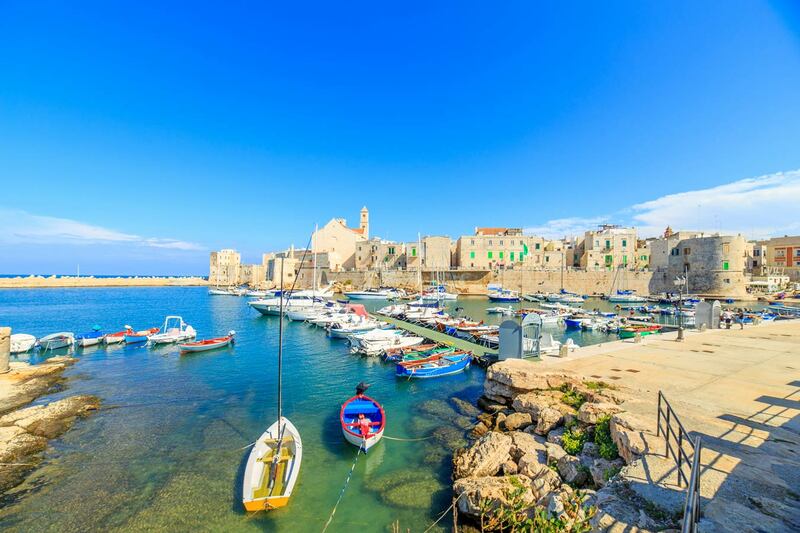 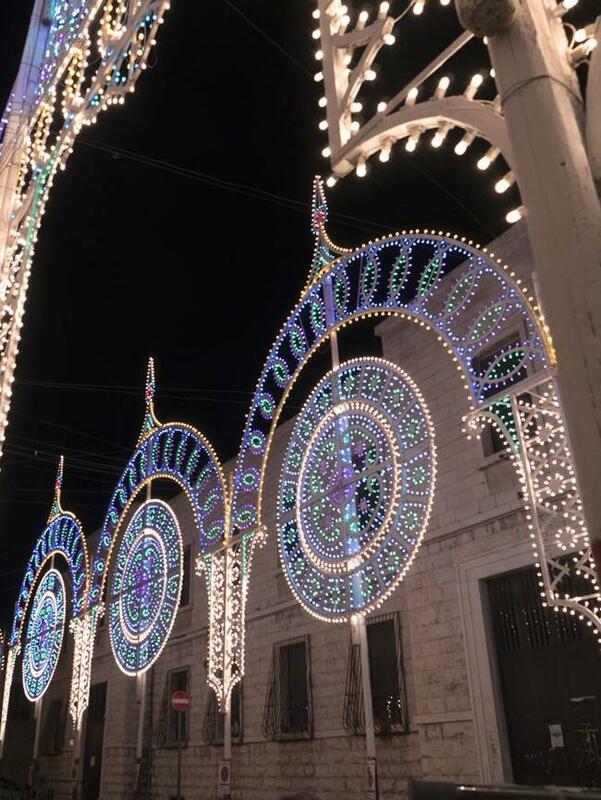 The property, unique in its kind, has fully preserved its 15th-century classical charm and makes a great location for visitors coming to Trani as they can benefit from high-end services and lavish environment. 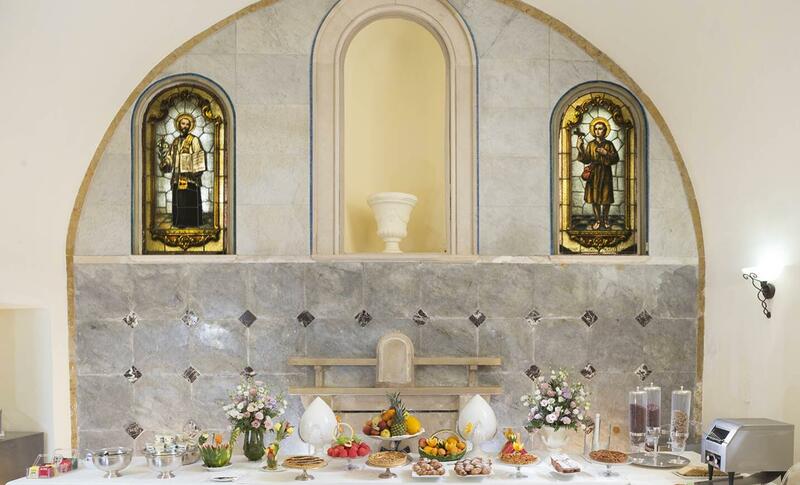 The hotel location is an ideal getaway to explore Frederick’s charming and ancient town: among the main places of historic interest are the Cathedral, the Castle and the Jewish suburb, all a short walk away from the hotel. 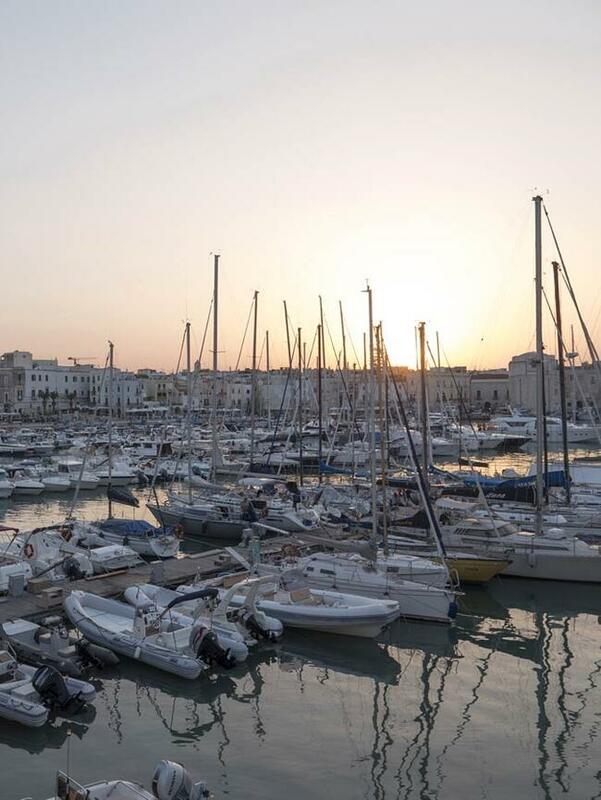 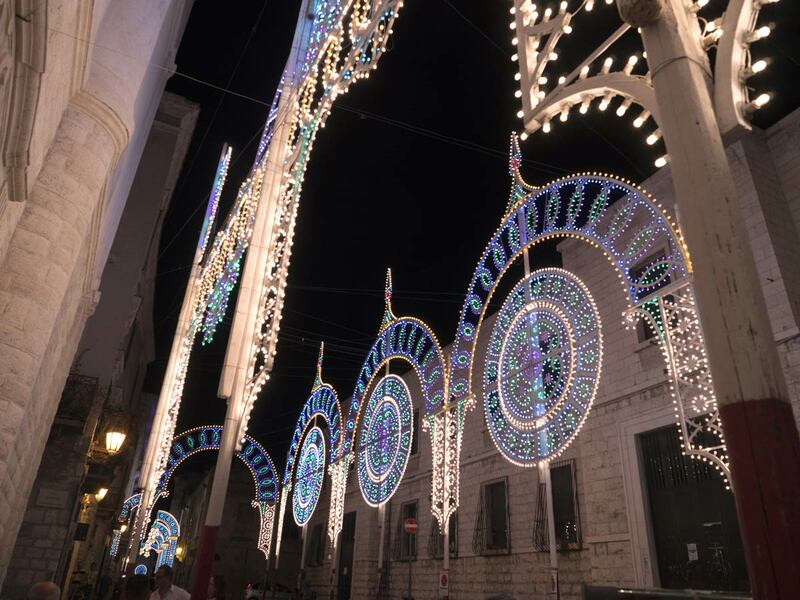 Trani is also renowned for its exclusive shops and traditional restaurants serving Apulia’s tasteful dishes and providing an unforgettable culinary experience. 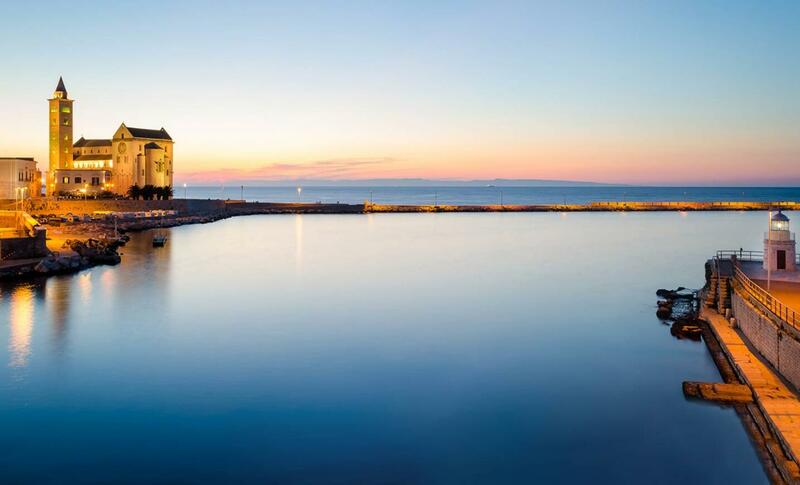 Those wanting to go to the sea can reach both the nearby free cliff and the equipped beach lying just 1,5 km from the hotel. 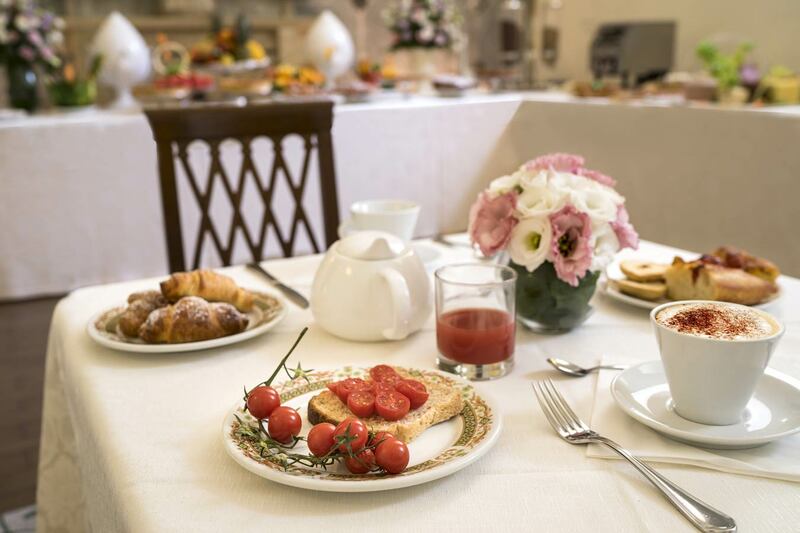 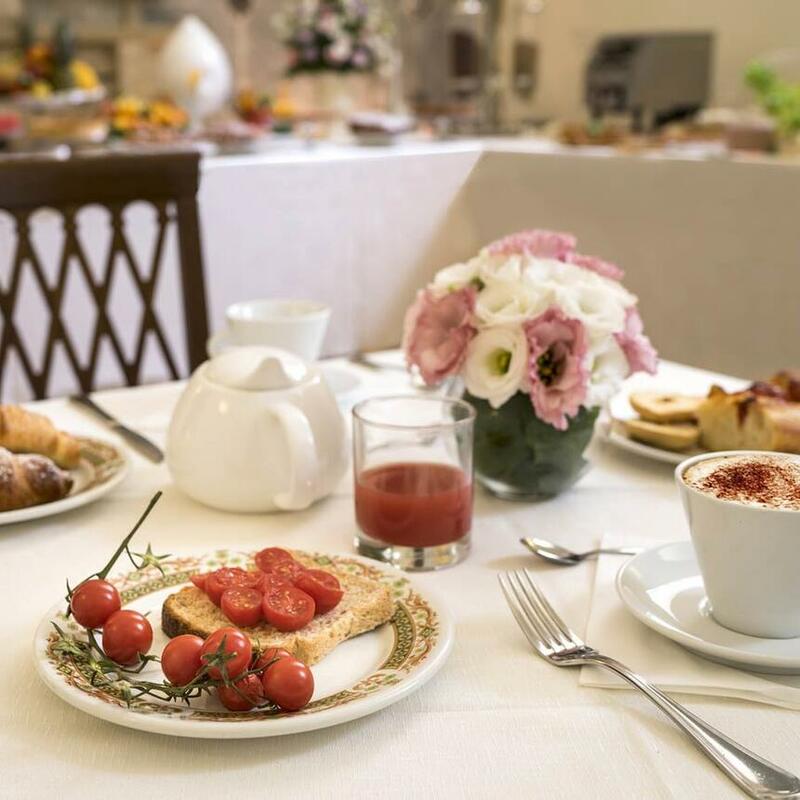 The morning awaits you with a mouth-watering buffet rich in delicacies. 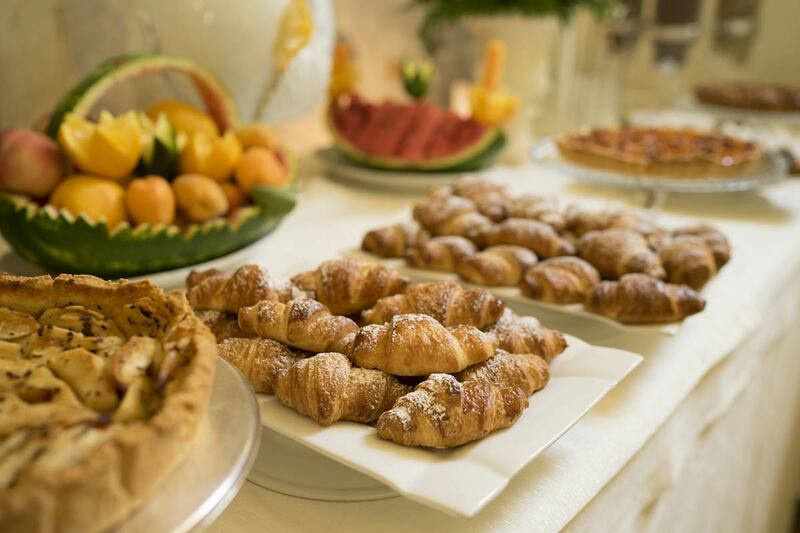 Pastries, croissants and many savory specialties like cheese, cold cuts, eggs and hot bread. 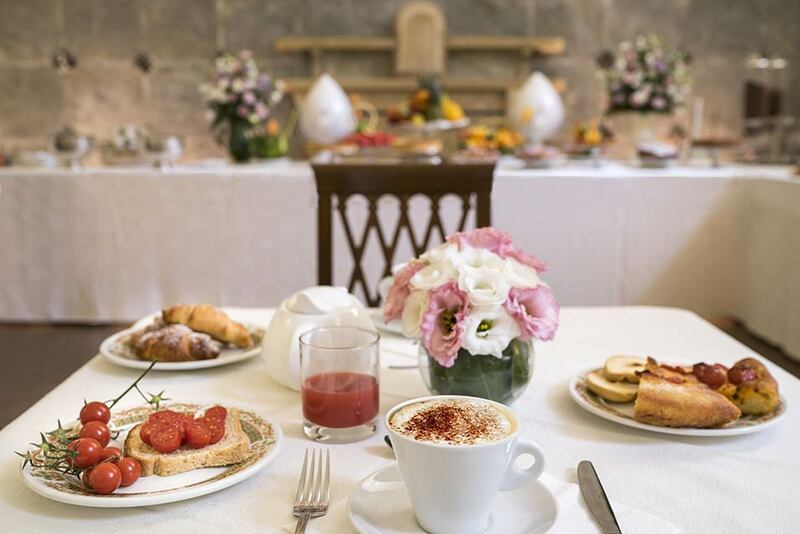 Our drinks include fruit juices, fresh-squeezed juices, hot and cold milk, cappuccino and an excellent coffee. 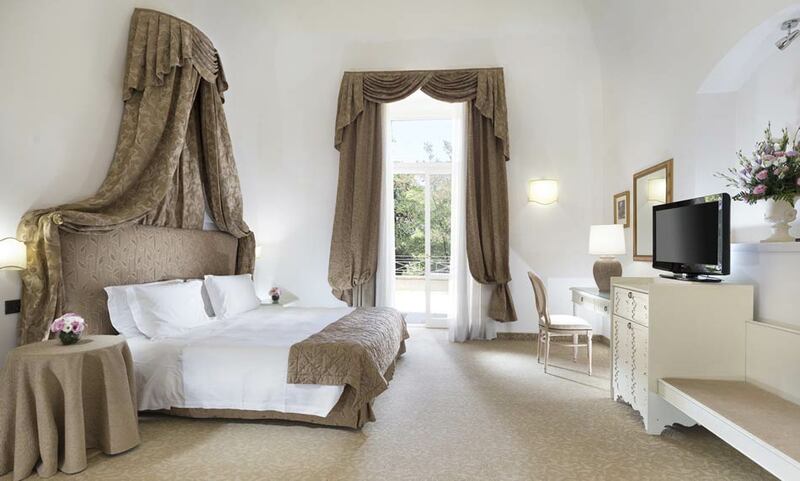 Spoil yourself with the elegance of the interiors. 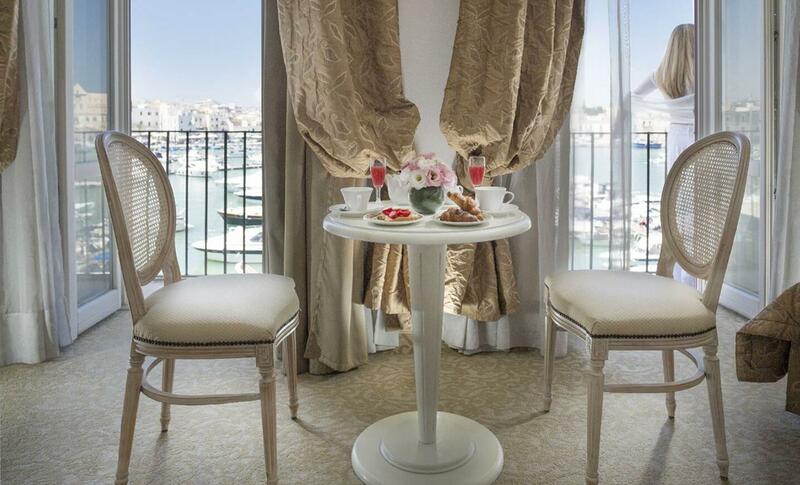 Let yourself be engaged in the fine and royal atmosphere. 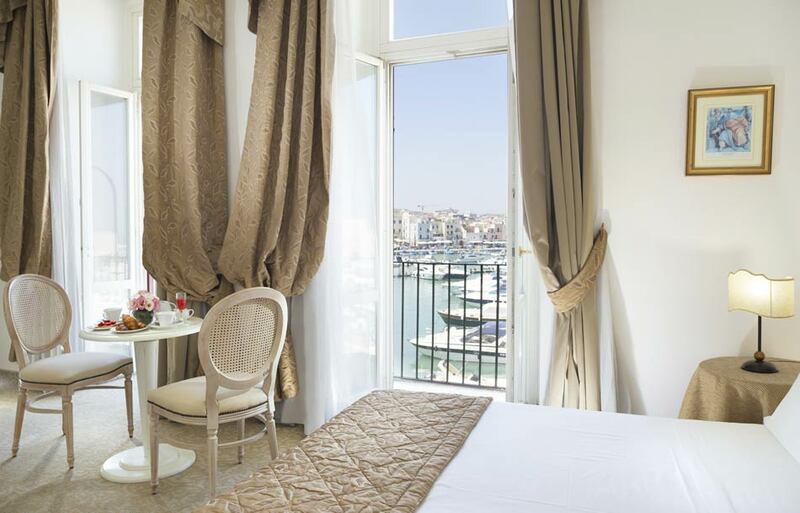 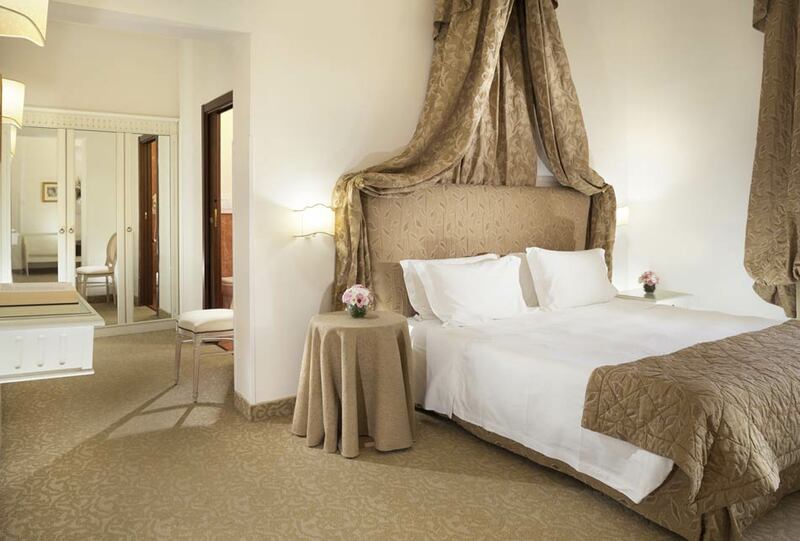 Our rooms are designed to give you nothing but the best: panoramic view over the sea or overlooking the cathedral as well as spacious interiors where you will feel like at home.